solar-rapid® collectors give you swimming fun, without heating costs. 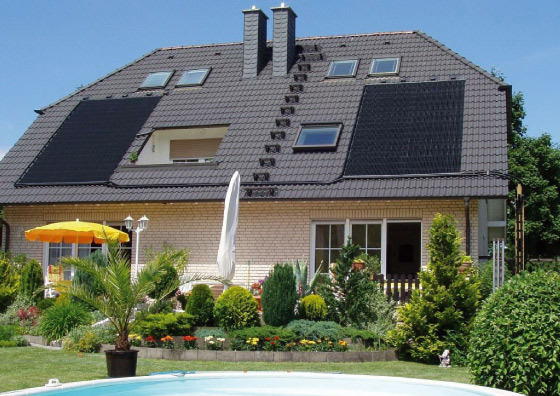 solar-rapid®- warmth flowing into your swimming pool. Info: In your swimming pool a great deal of water needs to be heated up "only" to about 30°C. 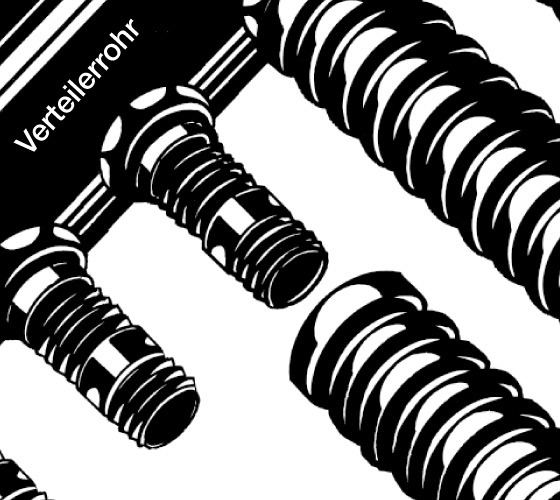 erwärmt werden. Such a "moderate" temperature is achieved fastest if the sun is shining directly onto the solar-rapid® collector. 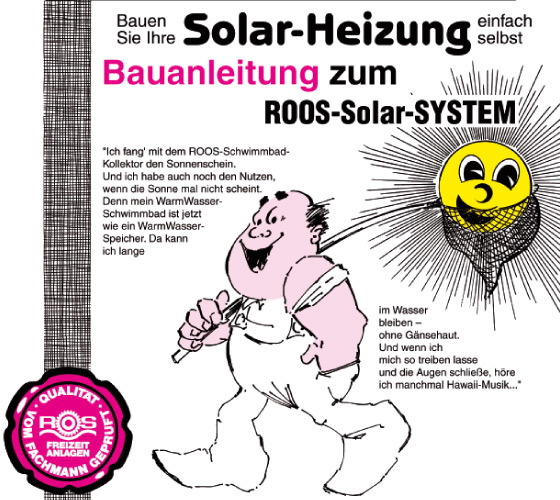 Whenever water flows through the collector, the solar heat is absorbed into your swimmingpool until the desired temperature is reached. 1. 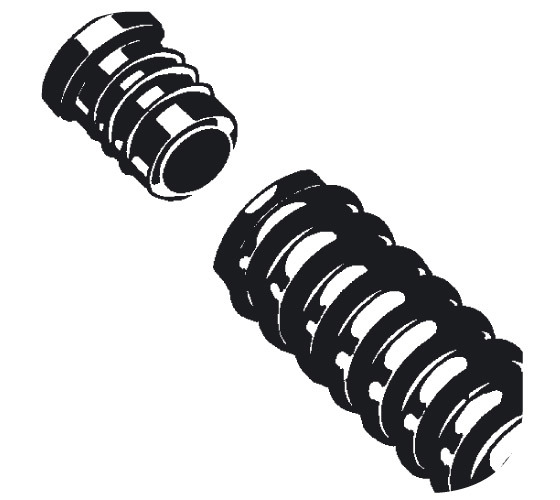 Insert a gasket into the solar-rapid® pipe. 2. ... then push it onto the distribution pipe: and it's tight! 3. 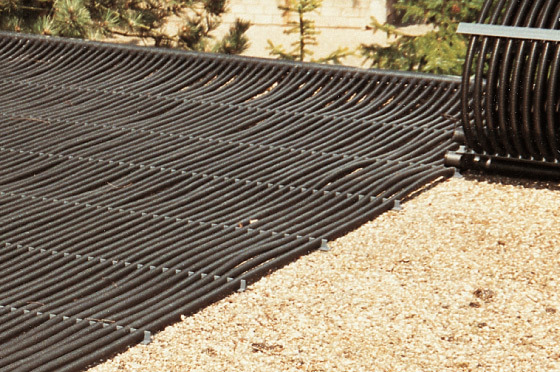 Connect the collector using solar-rapid® 50. Easy to understand instructions ensuring safe do-it-yourself construction. 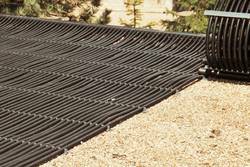 Simply lay it on a flat roof. On a sloping roof you just fasten it at the top. The collector is attached at the top by means of a perforated stainless steel strip that fits under the roof tiles. Its special design makes it strom-proof. No need to glue it to the roof. 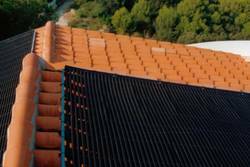 You don't have to drill holes in the roof tiles. 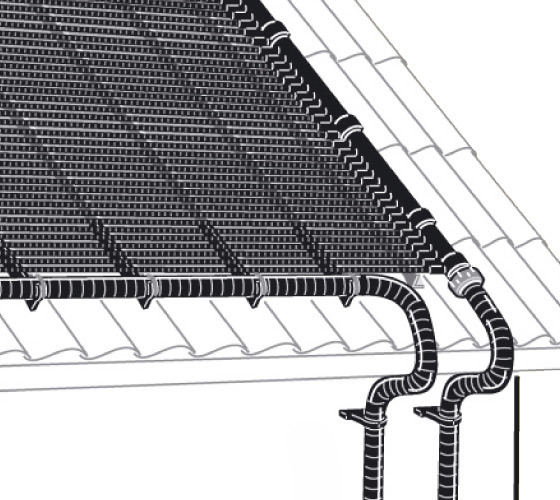 The solar-rapid® collectors can be fitted rapidly, easily and with no mess.